Sunrise Premium Resort Hoi An is a 5-star hotel, located in Hoi An, Vietnam, offering enchanting views to one of the most breathtaking coastlines in the world, as well as the perfect mix of luxury, serenity and adventure. Sunrise Premium Resort Hoi An approached Seadev because Hoi An, Vietnam has recently become one of Asia's top tourist destinations resulting in the area being inundated with hotels and resorts. In order to stand out in this increasingly competitive market, Sunrise Premium Resort Hoi An needed to revamp their online presence. Seadev used a three pronged approach to help Sunrise Premium Resort Hoi An grow their online brand awareness: a redesigned website, a guest experience mobile app, and an overhauled social media marketing strategy including stunning photography and online brand reputation management. 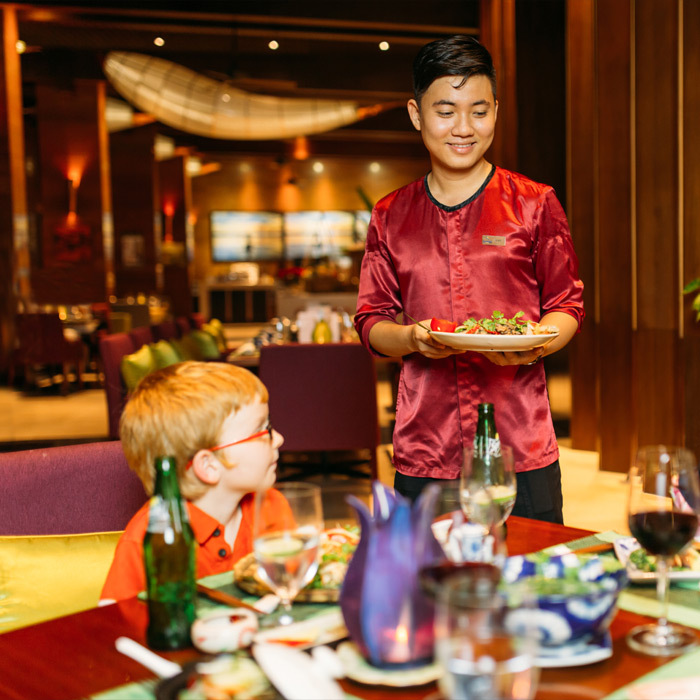 The refresh of Sunrise Premium Resort Hoi An’s online strategy resulted in more guests engaging online and an increase in customer loyalty. The refresh of Sunrise Premium Resort Hoi An’s online strategy resulted in more guests engaging online and an increase in customer loyalty. The new user-friendly Sunrise Premium Resort Hoi An website was designed to “tell the story” of a guests experience at the resort. The site is fully responsive and features full-screen stunning photography allowing guests to truly visualize their next 5-star holiday. 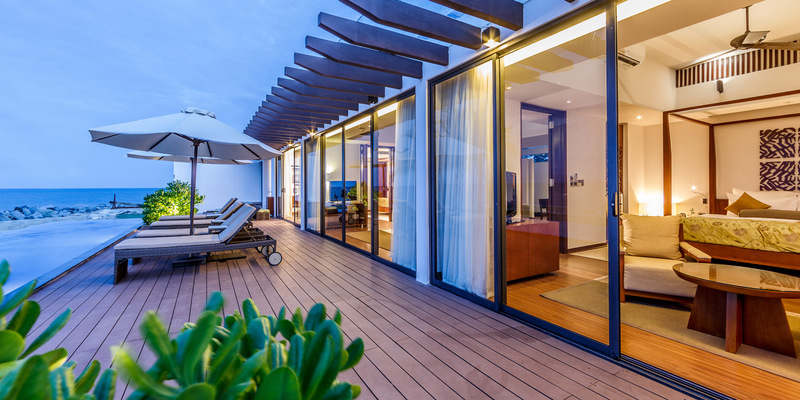 Sunrise Premium Resort Hoi An wanted a way to engage with on-site guests, so Seadev created an iOS and Android Guest Experience App. The Sunrise Premium Resort Hoi An App is a personal concierge and local guide all in one, highlighting resort amenities and providing the best information for local attractions and excursions. The app also includes push notifications allowing the resort to notify guests about special offers and events in real time. 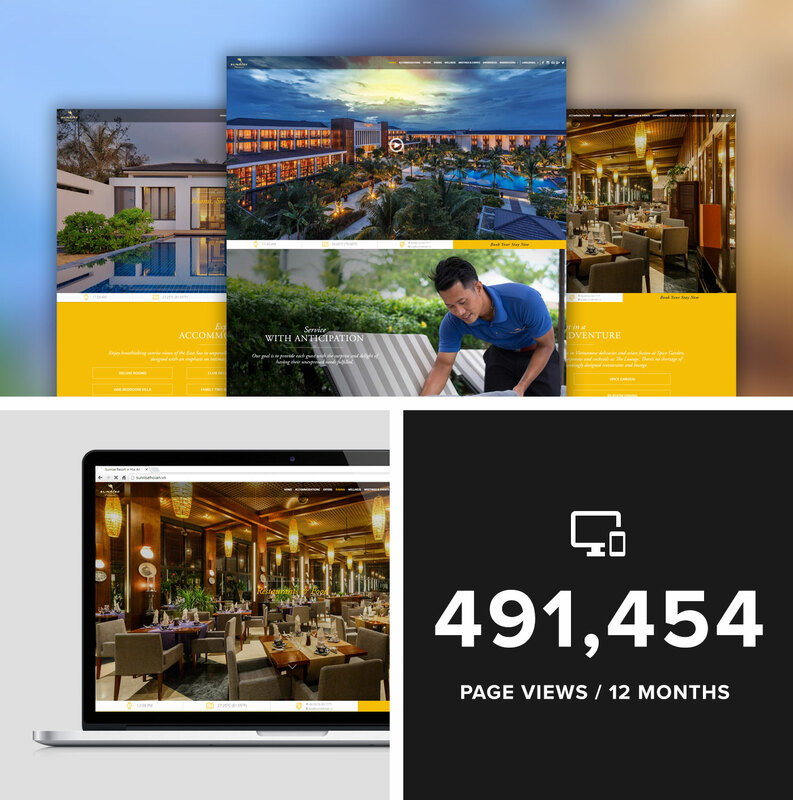 Our refresh of Sunrise Premium Resort Hoi An’s online strategy included revamping the existing social media channels and growing audiences on new social media channels. We create clear engaging brand messaging, establish measurable goals and capitalized on paid ads. In addition, we produced and directed on-site social photoshoots and consistently monitor their social media channels to maintain a strong online brand reputation.